Multiplying Your Talents for God’s Kingdom. Kingdom Capital Fund creates partnerships where entrepreneurs and business people can use their time, talent, and treasure to do more together than they can do as individuals. For example, we used a land donation along with a lumber donation, labor donation, and cash to build a facility. That facility creates an income stream to support ministries. 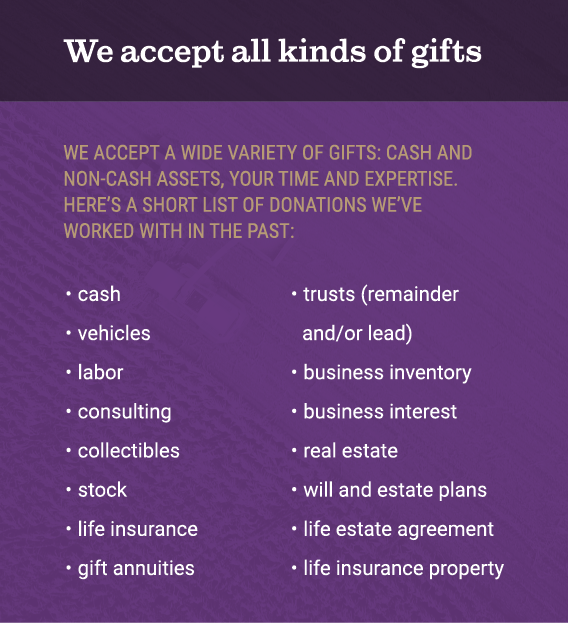 No matter what the gift (time, non-cash asset, cash, etc.) we put it to work. We either combine it with other gifts or invest in a specific entrepreneurial opportunity. In this initiative, Kingdom Capital Fund is currently seeking to bring together the following donations: farmland use (temporary or permanent); labor for planting and other tasks; gifts of seed, fertilizer, chemicals and other inputs; and financing to cover additional costs. The result: Bringing donors together increases the effectiveness of the project and multiplies the final gift for the Kingdom over a traditional model of donating profits from the sale of crops. In this initiative, Kingdom Capital Fund has received a land donation in the Grand Prairie Development in Sioux Falls, SD. We are currently seeking to pair this gift with the following donations: electrical expertise, painting, carpeting, carpentry, roofing, and financing to cover additional costs. The result: The Villa will sell for much more than the original value of the land. The multiplied proceeds will directly benefit ministries around the world.